BAM 2019 will be a loop tour beginning and ending in St. Joseph, Minnesota. Host communities along the way include Sauk Centre, Spicer, and Hutchinson. Minnesota’s central lakes area offers incredible views and much to explore. Each day cyclists will ride between 60 to 70 miles on paved roadways and trails. Our first day has us winding through the lake-filled countryside via scenic low-traffic roads and the Lake Wobegon Trail. We will stop to visit the Hill Museum & Manuscript Library and St. John’s Abbey Church at St. John’s University. From there, it’s on to the Hemker Park & Zoo to see the penguins, giraffes, camels, zebras, kangaroos, otters and a whole lot more! Once in Sauk Centre, tour the Historic Boyhood Home of Nobel Prize winning author Sinclair Lewis, visit the Carnegie Library – listed on the National Register of Historic Places – which also houses the Sauk Centre History Museum and Research Center or stroll down Main Street with its unique shops and restaurants. Lakeside camping offers a great opportunity to relax and make new friends. Today we will ride through a wind farm on our way to the Max Bat baseball factory in Brooten, MN. They make bats for all levels of softball and baseball, including the Major Leagues. Later on, we’ll stop at Sibley State Park and help them celebrate their 100th anniversary. Go for a swim at their public beach, go canoeing, hike to the top of Mount Tom or visit the exhibits in their Interpretive Center. Enjoy beautiful lake views as we head to Spicer. That evening we will be entertained by the Little Crow Ski Team as they perform their water ski show. Today riders have two routes to choose from – a 66-mile route or a century ride! A century ride is a road biking event of 100 miles or more and is a true badge of honor among cyclists. If you’ve never ridden a century before, this will be a great opportunity to do so given the gently rolling terrain. 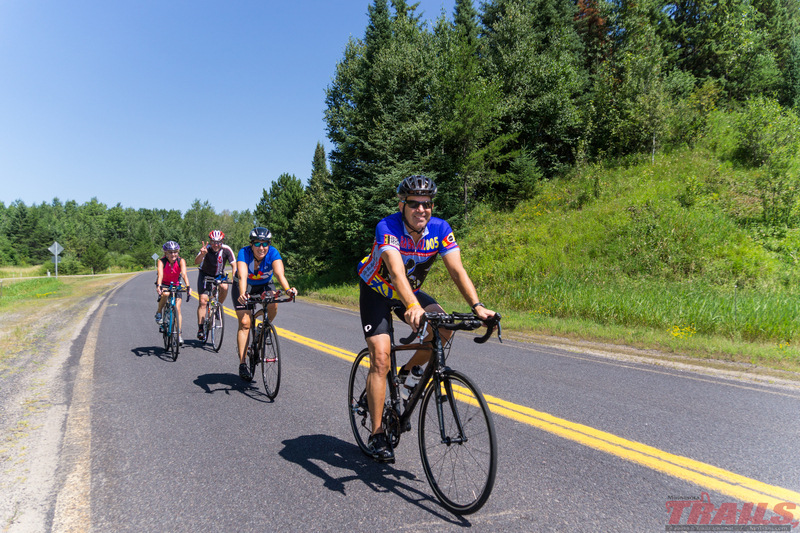 The century route offers plenty of lake views as the course travels around portions of Green Lake and Lake Koronis. The route also includes a portion of the Glacial Lakes State Trail. Start your century ride training today. Both routes include a stop at the Forest City Stockade to visit a rebuilt stockade and see volunteers in 1800-style dress illustrate period rituals and activities. Once in Hutchinson, our host town for the evening, we will be camping near the Hutchinson Aquatic Center so be sure to bring your swimsuit and go for a dip in their outdoor pool, slide down the water slides, etc. Dinner is on your own tonight. Part of BAM’s mission is to bring tourism to the host cities on the route so we invite riders to explore the many local dining options in Hutchinson for their final evening meal in lieu of a group meal. Today we’ll wind our way back to St. Joseph on more quiet, country roads. A trip to the area is not complete without a visit to the Darwin Twine Ball Museum to see the world’s largest twine ball made by one man. Francis A. Johnson started his obsession in March of 1950 and wrapped twine for 4 hours every day for 23 weeks. He finally stopping adding to his creation in 1979. The Twine Ball is 13 ft in diameter, 40 ft in circumference, and weighs 17,400 pounds! We’ll also see Johnson’s other creation, The World’s Largest Hand Carved Multiple Pliers. Finally, we arrive back at St. Joseph to say our goodbyes. Showers provided.